My search to find the best places to eat in Stratford Ontario started out with a glitch. I jumped in my rental car and was ready to head two hours east. Except Stratford is west of Toronto. I tried to feign innocence by claiming that I’m from Nova Scotia and therefore my Ontario geography is really bad. Thank gawd for Google Maps which pointed me in the right direction. Although I moved to Toronto in 2001 I didn’t have any experience with Stratford because my only reference was that the Stratford Shakespeare Festival is North America’s largest classical repertory theatre. I don’t travel for theatre – especially when it’s Shakespeare. Call me uncultured but I just don’t enjoy it and I don’t connect with the crowd that does enjoy it. But Stratford blew me away. So much so that since I’ve been home I’m still thinking about restaurants in Stratford, the town is so cute I can see why a lot of people are starting to leave the city and move to Stratford. I think Stratford has a reputation of being a destination for an older crowd. Despite being able to get there by train it never occurred to be to go for a getaway. I spent three days meeting entrepreneurs my age who had decided to either move home from Toronto to Stratford or build businesses so they could stay. Right now we’re struggling with the reality of finding a new apartment that will likely cost 2k/month for a shoebox so when I saw interesting people doing things right in Stratford I was overcome with one feeling. This is a city that is going under significant change. It’s a perfect few days away as you can take the train or just park your car and walk everywhere downtown. It really feels like a city break and at a fraction of the price of Toronto. But most of all…the people…so many amazing people sharing such enthusiastic stories. For anyone who dreams of having a second career following their passion Stratford is a city of people who are doing just this. However, beware of Stratford. Because you may just start wondering if you should move there too. Of course you can eat great food anywhere in the world (for the most part). But so many of these Stratford spots surprised me with an urban feel but small town hospitality. Not only do they make everything from scratch with real ingredients but also chocolatier Derek alone is worth going to see. Self deprecating and always entertaining, Derek has an education in mining. He was going to join the army but couldn’t find the recruiter on the one day he visits Stratford. 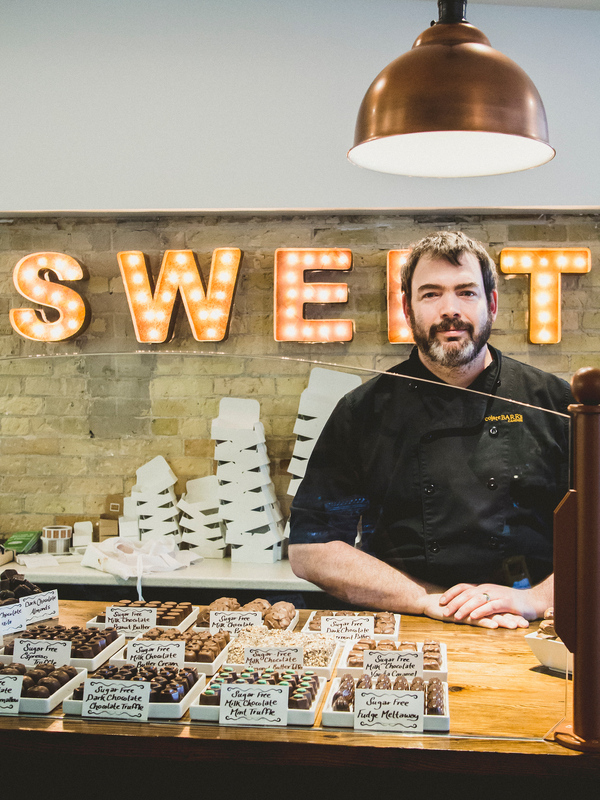 Instead a chocolatier offered an apprenticeship and now he and his wife own their own shop. Open seven days a week Derek is in every day. A word of warning though, you’ll want to spend a lot of money, especially on the chili pepper truffles. 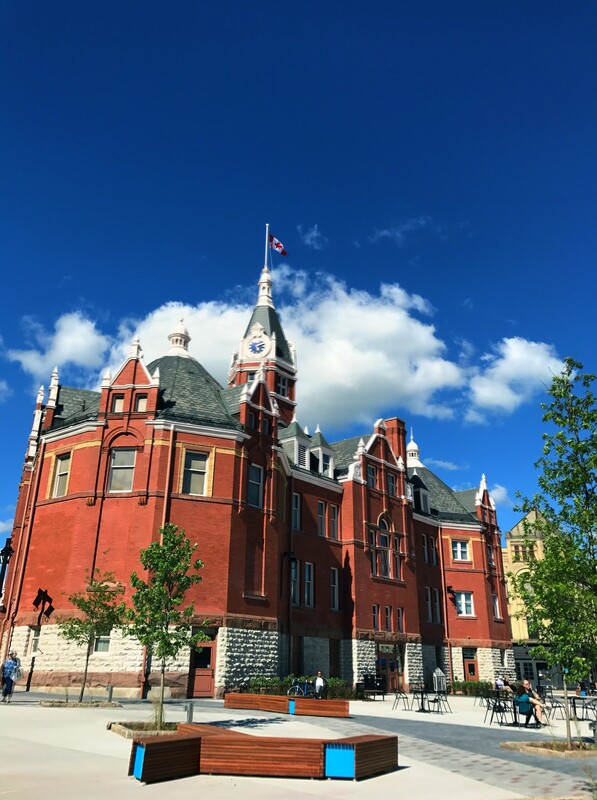 Derek’s favourite best places to eat in Stratford Ontario…and to drink: for a pub he likes The Boar’s Head, The Dominion House (on the wrong side of the tracks) and Raja Fine Indian Cuisine. For a night out with his wife it’s Foster’s or the Red Rabbit. But then he adds he also loves Revival House and all the beer at Black Swan Brewery so he can’t really narrow down his list because everyone is so good. School teachers Bruce and Ryan were avid home brewers before they decided to open a brewery in their home town. The brewery has enormous respect from locals. When I asked others where to go in Stratford Black Swan was always in the mix. The brewery is so successful that you can only buy its beer at the small brewery and on tap at local bars and restaurants. Spending an hour there talking to Ryan about how he went from a funeral director to teacher to brewer, there was a steady flow of locals picking up growlers for the weekend. Along with the seasonal beer they offer a porter, Irish pale ale and English pale ale. As someone who wholeheartedly professes their dislike of dark or hoppy beer I was surprised by how much I liked every beer when I ordered the flight. When I asked Ryan the best places to eat in Stratford Ontario he categorized it by who he was with – alongside his wife he goes to the restaurant Bruce. With his friends he goes to the Boar’s Head. With family he chooses Revival House. 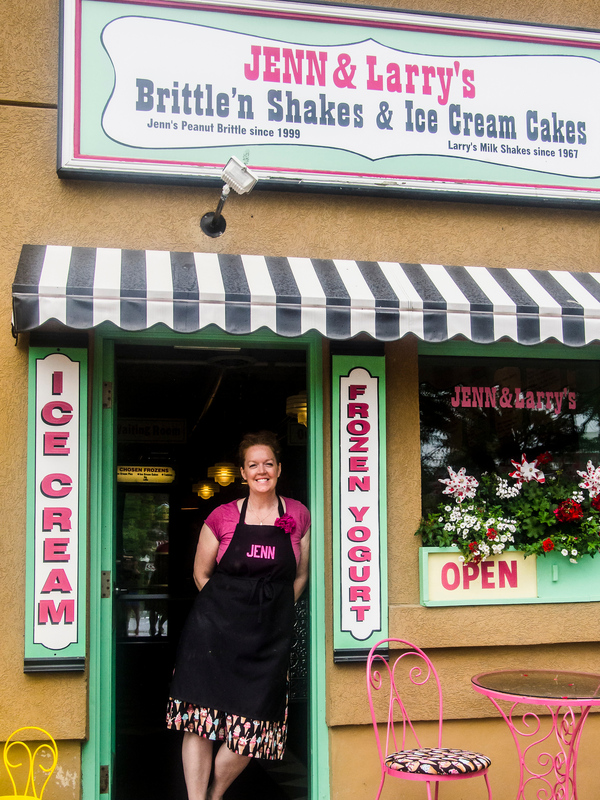 Every great town has a great diner and Stratford has Madelyn’s – home to its famous butter tarts. It’s a family business, once owned by Madelyn and now run by her daughter Krista and her grandchildren seven days a week. It’s a family affair with photos of the kids on the walls and we spotted Madelyn eating breakfast in the corner. 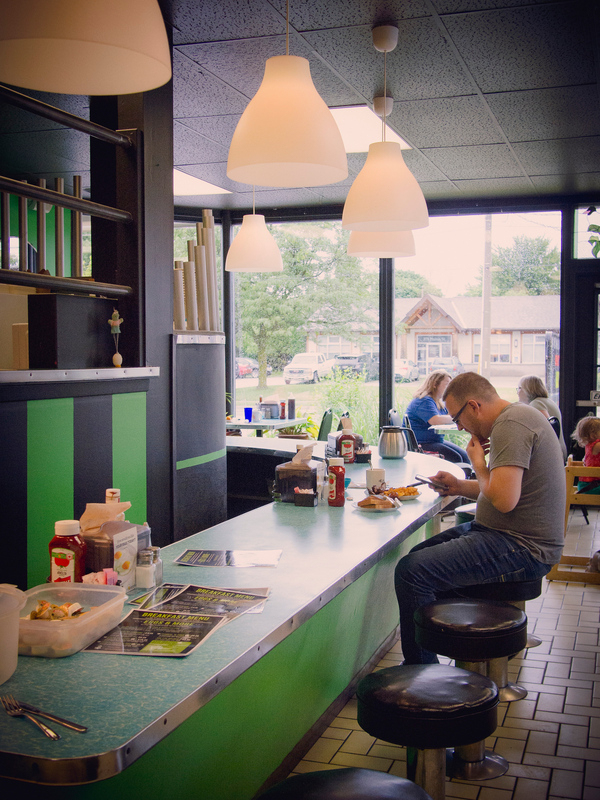 This isn’t some hipster diner, it’s the real deal with locals ordering a diner style breakfast. And everyone comes for the butter tarts, in fact Madelyn’s has sold over 160,000 butter tarts in 8 years. It’s a real community fixture and so when banks refused to lend them money for much needed repairs they also turned to crowdfunding to ask the community for future shares – for example if you pledged $100 you would have a $125 credit at Madelyn’s. The community stepped up and the diner is still thriving. Fair warning this is one of the few locations you can’t reach by foot. But it’s only a $9 cab ride away. If I had gone here with Dave I would have never been able to get out of there. There are soft cones and milk shakes and malts – he would have wanted one of everything. But I also loved Jenn’s story because she was so emotional sharing why she started making brittle. After a few years away she auditioned for a theatre show with step dancers and didn’t think she would make the cut. When she did she brought brittle to her cast mates the first week and then the next week she brought something else – but her cast mates declared they only wanted the brittle. When the show was over she started making it at home and it became so popular she opened up shop. Monforte is a well known cheese brand in Toronto and many restaurants use its artisanal goat, sheep, water buffalo and cow’s milk products. 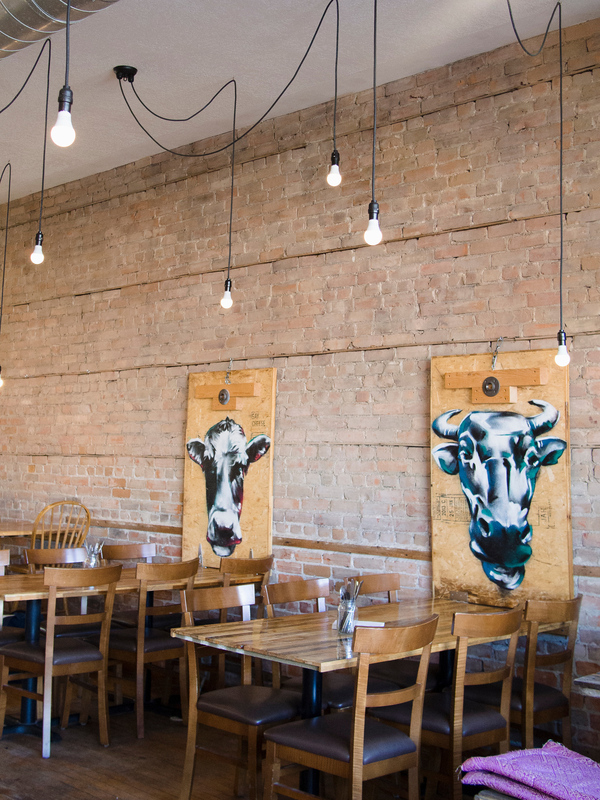 Owner Ruth Klahsen is the original Stratford crowdfunding story as she offered rewards of 150 per cent return collected as cheese, dinners or anything else they offered and between two campaigns raised $750,000. 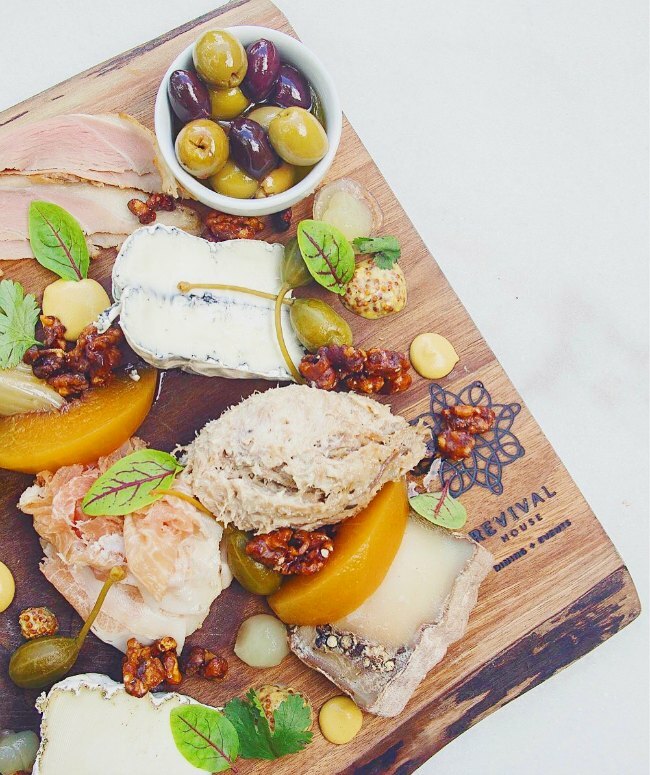 The location downtown offers local wine, Monforte cheese and small plates that change daily. There’s also a back garden patio to enjoy the weather. Self proclaimed independent coffee for a revolution home of direct trade coffee, Revel has a very Toronto vibe complete with a legion of people working on their laptops in the back of the cafe. As we opened our own restaurant, Loka, through Kickstarter funding I’m always interested in hearing how other entrepreneurs pursue non-traditional funding. Revel has successful crowdfunded twice and inspired other businesses to do the same. First to move to their new location and secondly to renovate and build a much bigger kitchen for pastries including: croissants, pain au chocolat, danishes, tarts, scones, muffins and pies. 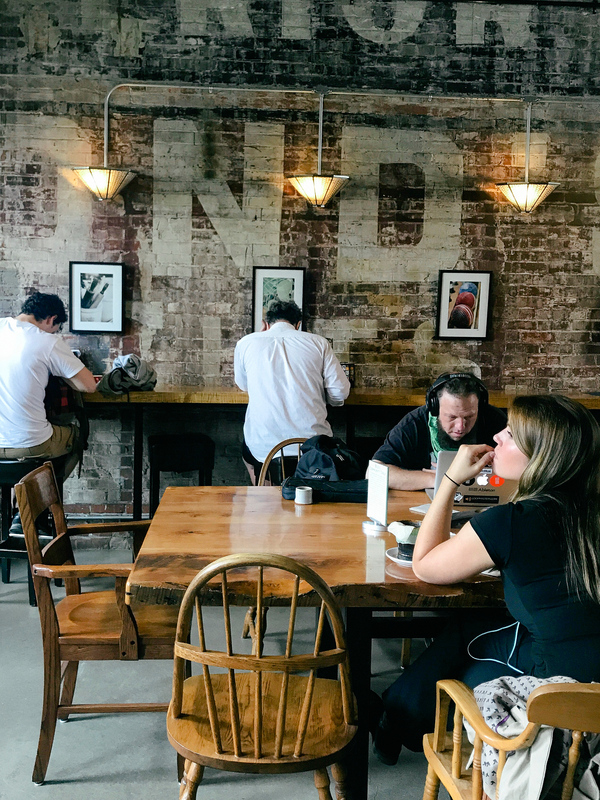 Locals purchased everything from hugs to 3-year pastry and coffee subscriptions. One of the most instagrammable shops I’ve seen in Stratford. Kandy Cosstick owns Kandy Cakes (yes she was born with this name). She was a hair stylist and her mom gave her a pastry book as a whim. Eleven years later she’s the most highly sought after cake artist around. 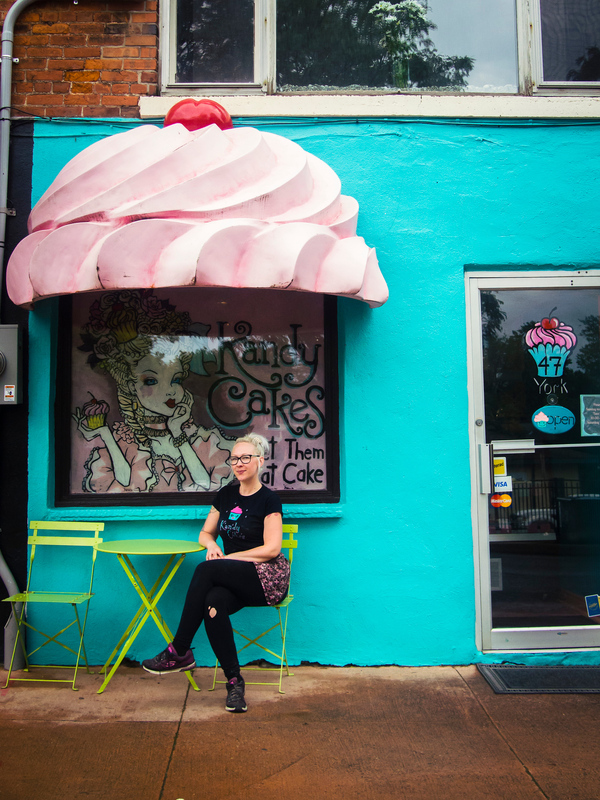 Self taught, she works six days a week on her own and you stop in and grab cupcakes that range from using local strawberries or Black Swan beer to the ubiquitous unicorn cupcake – although Kandy sold it before it exploded on Starbucks. You have to check out her instagram. Keystone Alley has been in Stratford for years but recently purchased and renovated by Anthony and Kimberly, who moved back home to Stratford with their family. It’s a bistro style menu and I couldn’t decide how to choose just one appetizer so I ordered a few as the main, the duck liver mousse is killer. 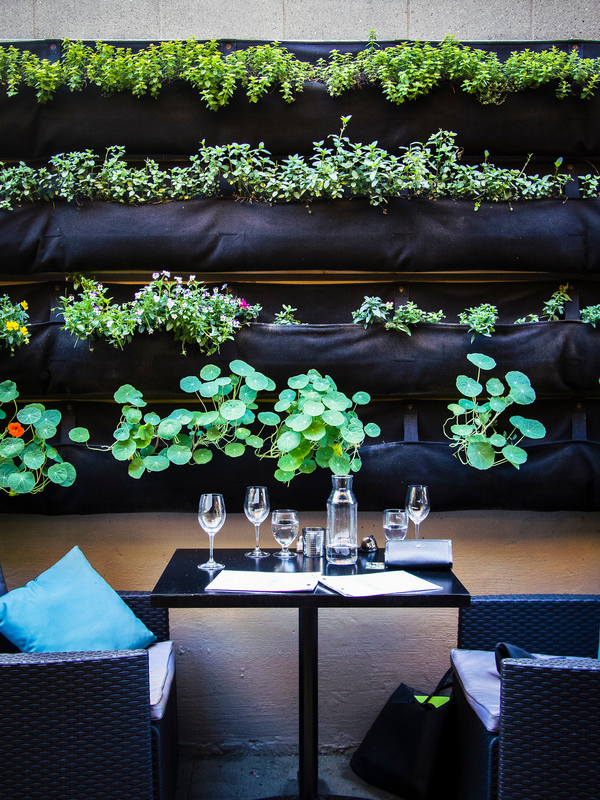 If the weather is great opt for the alley patio – the wall herb and edible flower garden makes for great photos and it’s made with recycled plastic! My first stop in Stratford was at Revival House to meet Rob and Candice, who formerly worked in restaurants in Toronto and decided to move back to Stratford. 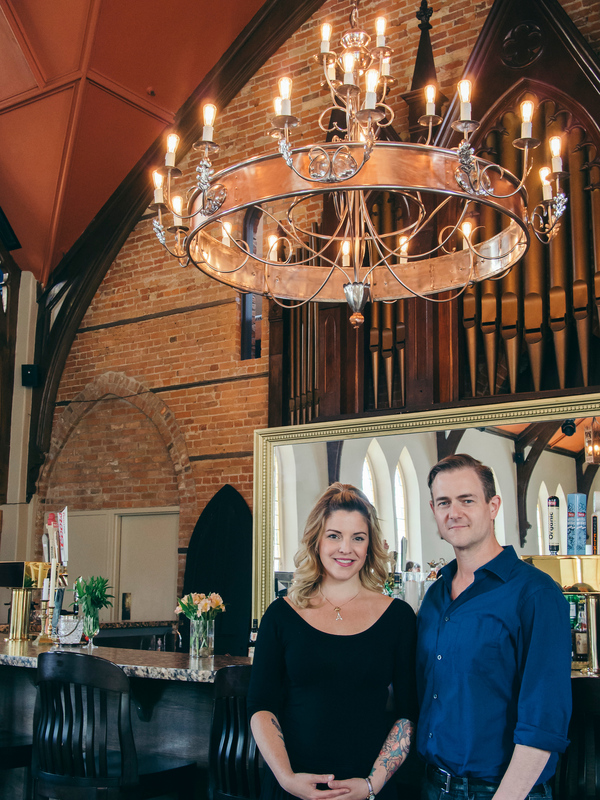 They previously owned Molly Blooms, a franchise that was one of Justin Bieber’s favourite spots, but with the pub doing well they’ve focused their attention on building Revival House. It’s a former gospel church and although it was also a restaurant before they bought in, things are very different. The previous restaurant was all about white linen fine dining, whereas Revival House is a bit more contemporary with French rustic cuisine. It’s very different from the previous restaurant with craft beer events, live music and an open kitchen with a staff of all women – which is very unusual in a restaurant. 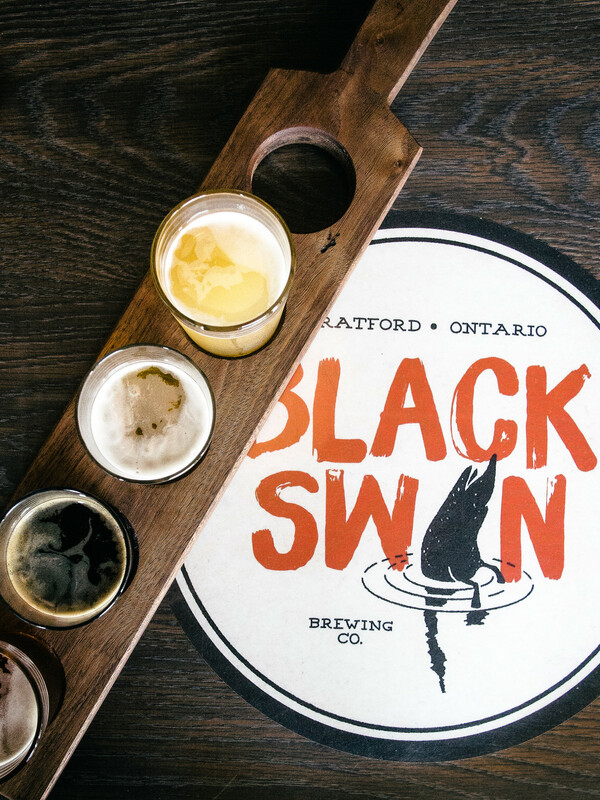 Asking Rob and Candice their thoughts on the best places to eat in Stratford Ontario that locals love – their first pick is Black Swan brewery and it becomes a constant theme throughout this trip. I had heard great things about Bijou as a farm to table restaurant and was recently passed onto Mark and Linda Simone who previously operated the restaurant at the Bruce Hotel. When an instagram friend asked if I was in town I thought I could just pop-in but to manage the theatre crowds many restaurants like Bijou only offer a set menu. Fortunately once the crowd heads to the theatre at 7:30pm you can go for small plates and that’s exactly what I did. It’s a great small spot for a glass of wine (with not one but two local rose by the glass) and a bite to eat. A beer hall with a large kitchen menu. Chef Ryan O’Donnell’s menu is dotted with interesting items like grilled whole sardine with wasabi and karaage fried chicken with togarashi mayo – it’s easy to see his time in Japan influenced the menu. If you have more conservative food friends don’t worry there are some safe bets like grilled chicken skewers. Bonus: They are on the bacon and ale trail with a hearty tasting of two types of bacon (wet and dry cured). Stepping back in time, the Parlour Inn is a historic boutique hotel that has been open in Stratford since 1871. 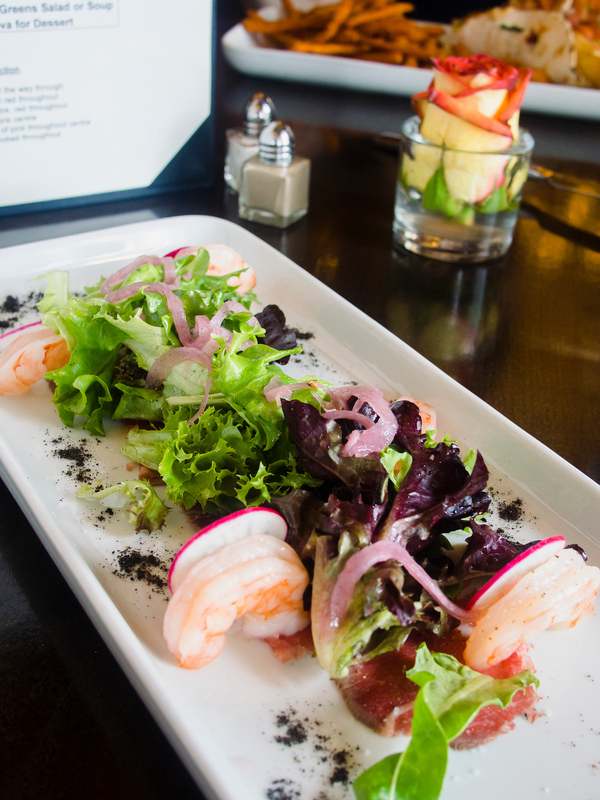 The menu is great if you’re with a group with picky eaters, as it’s home to many steakhouse favourites like a caesar salad, burgers and chicken pasta Alfredo. Although there are several locations in Toronto the original Balzacs is from Stratford. A fine dining option in Stratford in the newly built Bruce hotel. I’m only heard good things about the food from Chef Arron Carley. 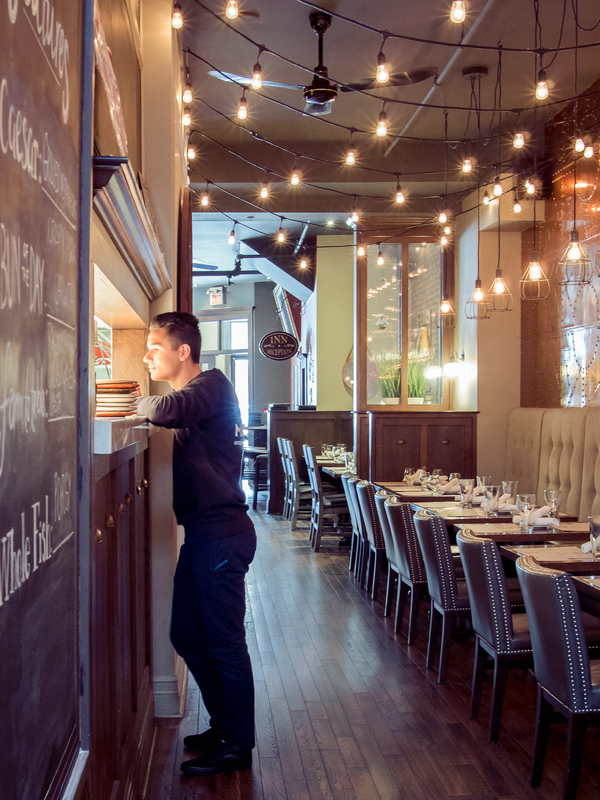 Local, seasonal cuisine, the Prune has been a fixture in Stratford for 35 years. It is only open May through October. More than a few people mentioned Pazzo and I was given a local tip to eat on the first floor. Gregory George from Follow Summer said this is a must, and you may see him there as it’s his local. If only there were more time. The school has been running in Stratford for 34 years and has many well known alumni. During the summer they host Open Kitchen classes to the public that are one evening only on subjects like how to pair wine with barbecue, sausage making or fermentation. I love staying in non-traditional places and I adored The Welly Lofts so much I wanted to share the Instagram Story I shot instead of just a photo. The lofts are located across from the main square and just a short walk to everything. But what I loved the most was the attention to detail. It was really easy to get into the apartment and they had everything you could imagine including a flat iron! I’d love to come back and bring Dave as it was the perfect base for Stratford. You can book on AirBNB and save $45 using my referral code here. Stratford is about a 1.5-2 hour drive from Toronto, depending on traffic. Via Rail runs at least once a day to Stratford and only takes two hours. If you’re staying downtown it’s only a $9 cab ride from the station. During theatre season the Stratford Direct Bus runs twice a day on performance days (10am and 3pm) for $25 return with the purchase of a theatre ticket. It departs from the InterContinental Centre at 225 Front St West. Disclosure: This post about the best places to eat in Stratford Ontario was sponsored by the Stratford Tourism Alliance. I’m so glad they reached out to me because I would have never discovered what a great getaway it is. I’m sure Dave is tired about me bring it up! What an eye-opening post (that makes me want to open my mouth)!! I totally thought Stratford was for old people too, and it makes me really sad I didn’t visit before we moved away from Toronto! I’d love to get to Stratford one day! Maybe I’m just getting old 🙂 It’s a bit of a trek from Calgary, but one day… A very cool place and I would eat at ANY of the restaurants you suggested! You convinced me that this is a place that needs checking out. The diner background story off the community pulling together is so heart warming (plus it looks like a cool place to stop in and have lunch). Your Stratford looks very different from ours here in the UK although it also attracts the older and theatre crowd of course! BUT, it looks like youve found some really amazing spots and I love the stories behind each one! Especially the guy who was going to be a miner and ended up as a chocolatier! What a career change that was! So interesting. Having lived near the original (British) Stratford for a while, I find it kind of strange how the Canadian one has basically emulated the connection with The Bard and theatre with its own identity. Anyway, it was not somewhere I would have considered either. But I love the sound of the bacon and the ale trails, and all the places you’ve listed look so good. 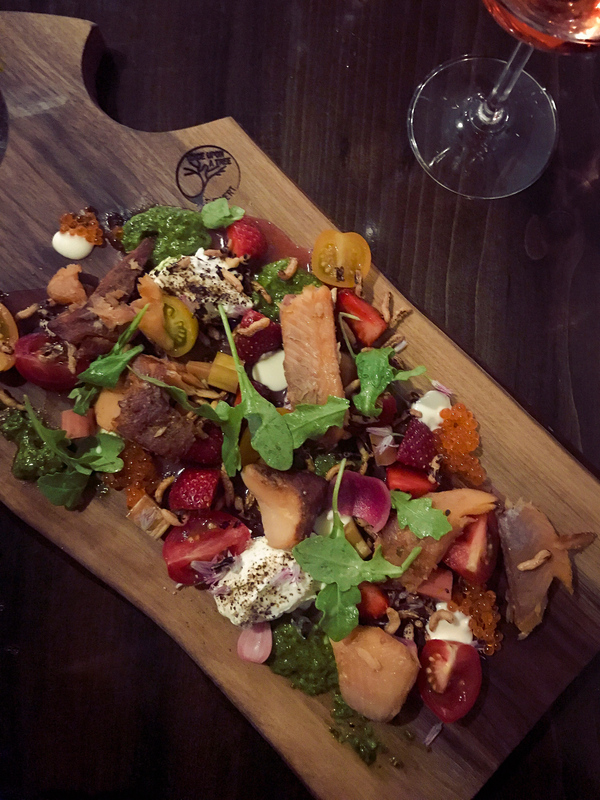 Keystone Alley looks amazing and so do the rest of the restaurants – love these tips and would adore a visit to Ontario! This was such a beautiful and interesting read, glad you had a great time in Stratford. This is an amazing and comprehensive list! Will keep it in mind once I have the chance to visit Ontario! Loved reading it! I did my cake decorating course in Toronto. Wish had knows about Stratford, would have loved to visit. 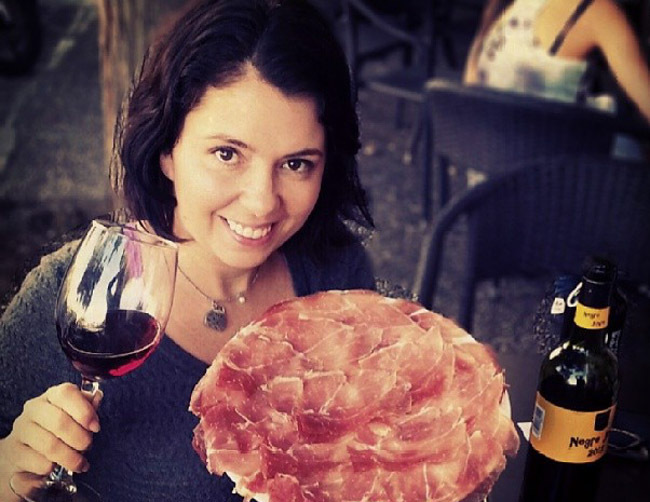 The Bacon and Ale Trail sounds amazing! I had the pleasure of visiting Stratford just a couple weeks ago! We enjoyed a delicious lunch at Revival House, and a musical matinee at the Festival. It deserves all of the good attention it’s getting – quality of life and affordability are really good there. And as you’ve shown, the food scene is tops! Damn… Canada is soo gigantic! Got to try to kick myself in the B… and go explore a bit more next time I go! Lovely post, I’ll keep this place in mind, looking delish! I live in Stratford. It’s a magical place, where people from around the world have settled to contribute to and enjoy the vibrant arts scene. There is a lot of talent in Stratford at world class level. Yet, everyone behaves like they’re part of a small community. We are hoping to do a big Ontario trip next year, I will have to keep all these places in mind for our big trip. I am pinning this! So wonderful that you have found Stratford! I have lived in the area for over 23 years and have really enjoyed all it has to offer both locals and visitors. You have written about some of our wonderful treasures. On your next visit you really must take in our premiere chocolate shop called Rheo Thompson Candies. Their mint smoothies are unimaginably decadent! If you are looking for a delectable treat to bring home to family you really must visit this hallmark Stratford destination! Wow what a great guide! Lots of lovely looking restaurant but I’ve still not visited Ontario yet. On the long list of course however! I moved here from Toronto and feel so at home here that I wished I’d moved a decade ago. I live on the river and more and more of my city friends are moving here because it is like a Toronto neighbourhood without the traffic and way more heart and soul. Chantelle these are fantastic picks, I had heard about all of them but just didn’t have time to visit – but I know I’ll be back. Google maps, saving us fake nova scotians since 2005 lol. Looking forward to trying that pale ale from Black Swan! Ayngelina – these were great tips and helped us have a super day. Loved Revel and ate at Keystone Alley. Got Black Swan Beer and Barr’s chocolate. Some places we wanted to visit (e.g. Moneforte) were closed on Tuesdays, or they just decided to take a day off – I guess that’s part of the charm of having a small town business. We also were surprised that many restos close their kitchen around 2 for a break before the evening g meal. The resto will not kick you out, but your food orders have to be in before that time. Great day and worth the drive from Niagara! Thanks for the shoutout, you! (Not sure why I am only seeing this now!!) Indeed Chris and Mary Woolf have been icons of the local food scene sin the early 80’s . Catch them quick before they retire at the end of 2018!